If it is good enough for the abuse of the track….then it will work very well on the street also. So yes these are perfectly suited for long life on the street as well as on the track. We are not kidding once you try these you will never go back to paying for over priced clutch kits. We offer the fibers and steels separately as well in different sizes. Please check our listings. This is the second clutch set that I've gotten now. Its is an excellent choice for drag racing for sure, now i have this set in my street bike and I absolutely love it. Perfect stack height, and it LASTS even with my very very aggressive riding and racing. 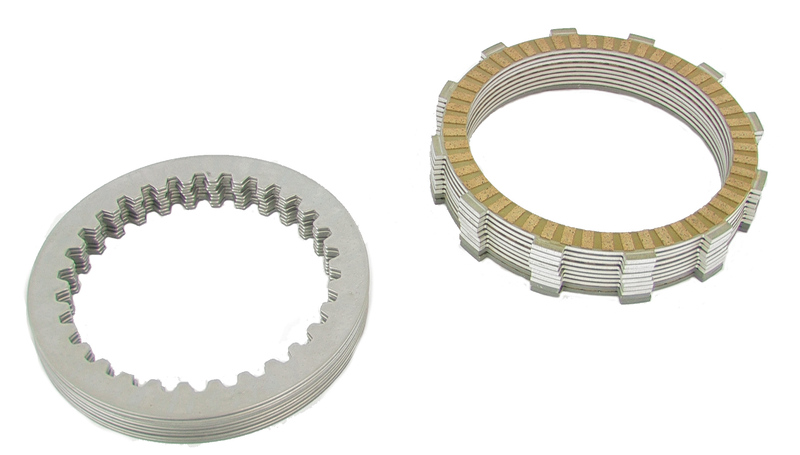 Click the button below to add the Kawasaki Track Pac Clutch Kits to your bike build.